Pioneer recently introduced their new 3G crank-arm based power meters. The new version has Bluetooth SMART, a smaller sensor as well as an all new Pioneer Cyclo-Sphere Control app. 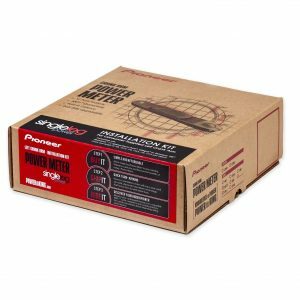 Pioneer power meters are available in both single and dual-sided versions and feature Pioneer’s 12-point force measurement and HDPower Metrics. 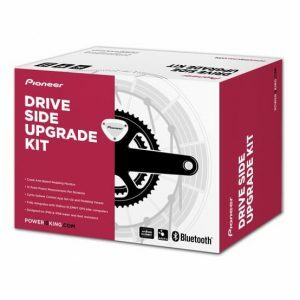 Installation: Installation of Pioneer left crank arms involves removing your current crank arm and installing the Pioneer power meter in its place. This is a simple process that only take about 5 minutes. 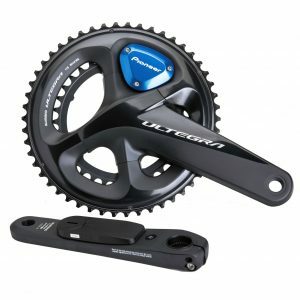 Complete Pioneer cranksets such as the Pioneer Shimano Ultegra R8000 or DURA-ACE 9100 take a bit more work as you have to swap out your entire crankset. However assuming you have insured compatibility with your bike frame and bottom bracket – it’s pretty straightforward. 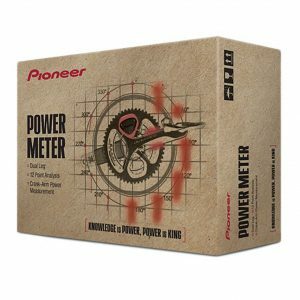 Weight: Pioneer power meters are one of the lightest power meters available. The sensors add approximately 22 grams of weight to the crank arm. This is within a few grams of other crank arm-based power meters. 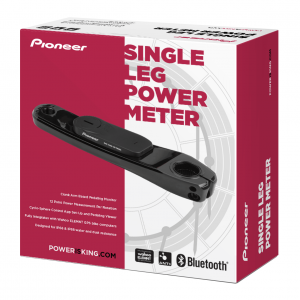 Power Measurement: Pioneer power meters measure left leg power and double the value to calculate total power. Complete Pioneer cranksets measure both legs and are also able to determine independent left/right power. 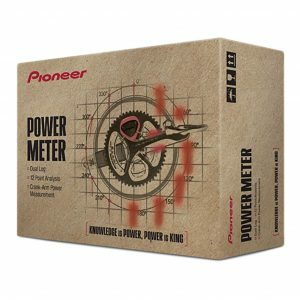 Batteries: Pioneer power meters use the popular CR2032 battery. Battery life is approximately 180 hours. Communication Protocol: Pioneer’s new G3 power meters transmit data via both the ANT+ and Bluetooth SMART wireless protocols. This means they are compatible with any bicycle computer, smart phone or tablet. It also means they can be easily connected with popular training apps such as Zwift. Accuracy: All Pioneer power meters are accurate to within +/- 2.0% and also feature Pioneer’s 12-point force measurement and HDPower Metrics, an in-depth pedaling metrics analysis. Cadence Detection: Pioneer power meters measure cadence using a built-in accelerometer. If you want to take advantage of Pioneer’s 12-point force measurement and HDPower Metrics, you need to mount the included magnet to your frame which more precisely tracks cadence. Warranty: All Pioneer power meters come with a two-year warranty which covers the product from defects in material and workmanship. Featuring Pioneer's 12-point force measurement for high accuracy and advanced metrics GEN. 2 ARMS 30+% OFF! Pioneer's newest sensor (SBT series) featuring 12-point force measurement and dual-sided power! 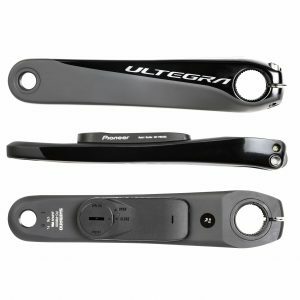 Add the Pioneer Power Meter onto your existing Shimano crank arm! GEN. 2 KITS 30% OFF! 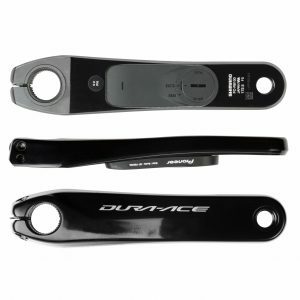 Add the Pioneer Power Meter onto your existing Shimano right side crank arm! GEN. 2 KITS 30% OFF! 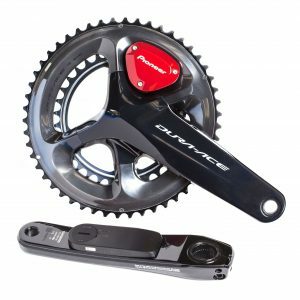 Add the Pioneer Power Meter onto your existing Shimano crankset! GEN. 2 KITS 25% OFF!